The Houdan, originally a French bird, has five toes which suggests that it may be related to the Dorking which also has a fifth toe. It has a full crest, beard and muffs, a comb that resembles a butterfly at the base of the beak, and small earlobes and wattles hidden by the crest and feather bearding. The red V- shaped comb sits against the bird’s crest. The Houdan is a glossy green black background with pure white mottles. It appeared in the first edition of the American Standard of Perfection in 1874 and was first exported to England in 1850, and to North America in 1865. 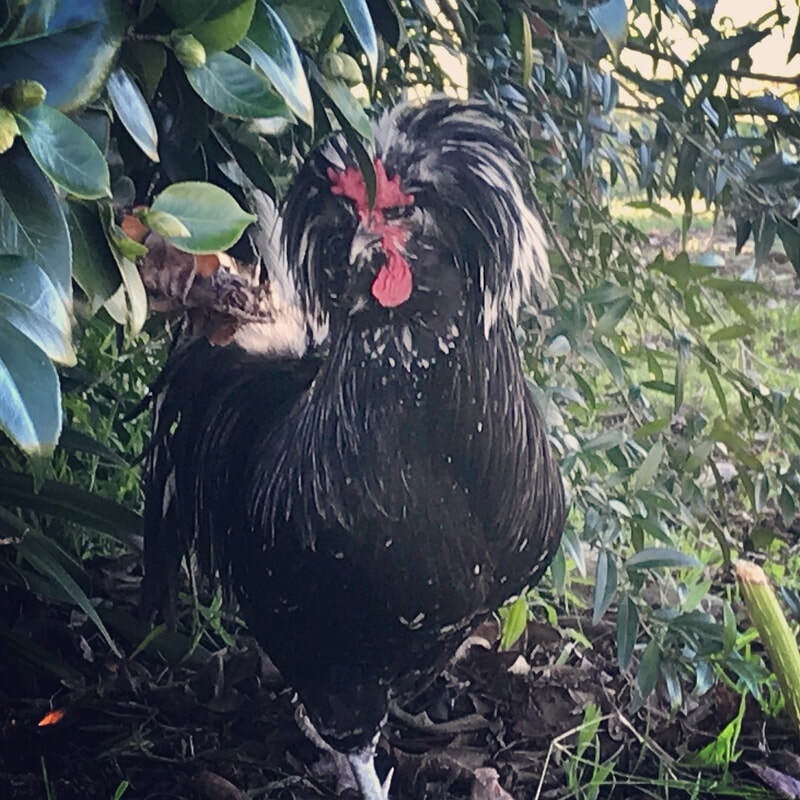 With an attractive appearance, the Houdan combines the distinctive features of the breeds that contributed to its development. 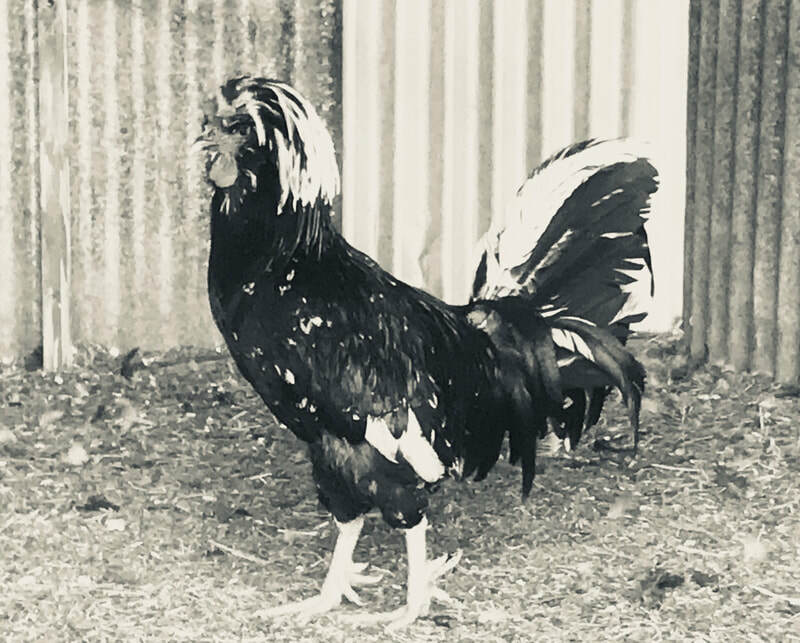 The Crèvecœur and Polish gave the Houdan its crest, and the Dorking (or perhaps other native French chickens) are thought to have resulted in the Houdan’s five toes (most chickens have only four). In terms of plumage, the Houdan comes in two common colour varieties: White and Mottled (black with white spotting). Originally a dual–purpose fowl kept for both eggs and meat, the Houdan today is primarily a rare show bird. However, with a fairly quick rate of maturation and the ability to lay a respectable number of white eggs, it is still occasionally kept in backyard flocks. 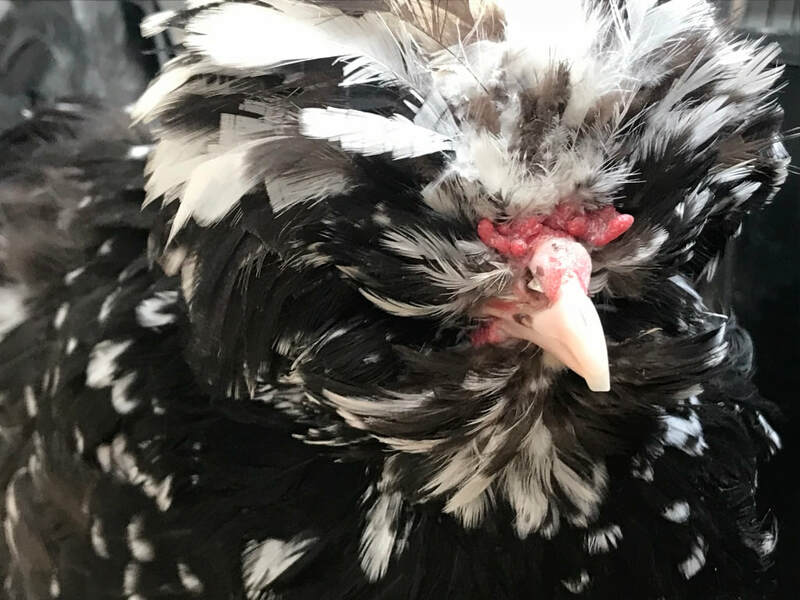 They do need a special drinker as their large crest and beard get wet and dirty if they use conventional ones so require just a little water in a bowl. Houdan are extremely docile in nature and like to be handled especially if they have been raised from young. Hens make the best pets and will live 7-8 years. A census was conducted in 2017 by the Rare Breed Trust of Australia. with less then 100 breeding birds recorded nationally from those surveyed. 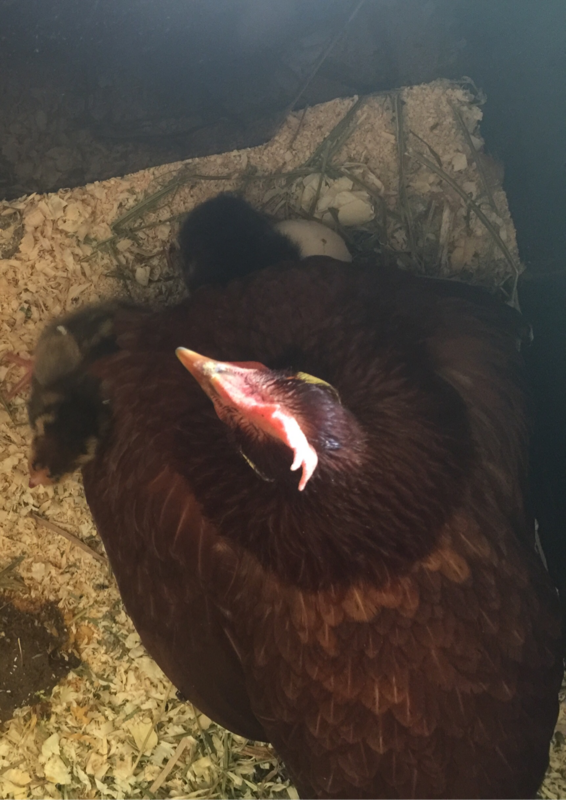 omlet >> << poultry hub >> << rare breed trust au >> << rare poultry breeders' assoc. Have you got a random Aloe Vera plant or two growing away in your garden that you know you could be using much more than just pruning and watering? I grabbed a small shoot from a market stall a couple of years back and just planted it in the garden to fill a hole knowing that snapping a leaf will ooze out that magical gel most households have in one form or another, yet all I have done it seems is try and find room for the umpteen new offsets it grows (I couldn’t even give them away…) and does anyone really need so many Aloe Vera plants? 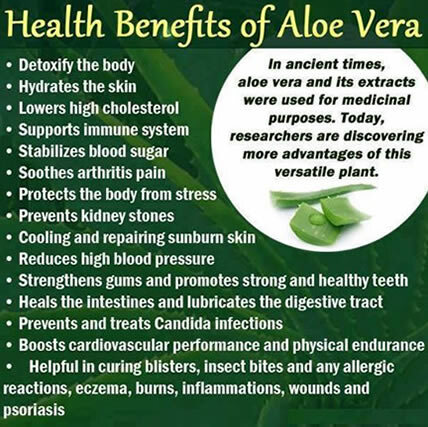 Aloe contains at least 140 individual substances – no less than 70 essential nutrients, including a wealth of vitamins, minerals, enzymes, protein, phytosterols and amino acids. 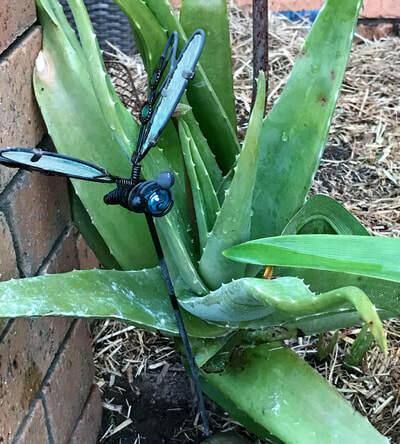 Harvesting your own Aloe Vera Gel is fairly easy and if you prefer to use a natural product then it can also save you a tonne of money at the same time. 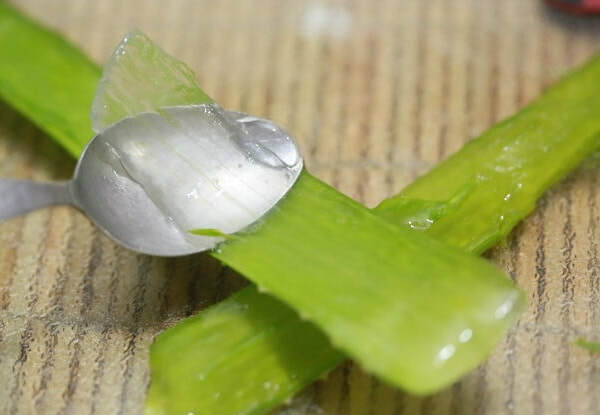 You only need a sharp knife (I found a filleting knife the best) and a butter knife or spoon to extract the gel and a clean jar or ice cube tray for storing. Now the fun part… extracting your Aloe Vera Gel. ** Be careful you don’t scrape right down to the yellowish layer just inside the outer skin which is known as the plant’s aloin latex, the part that can cause diarrhoea and lead to other health problems due to it's laxative effect. 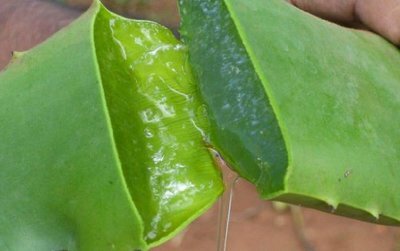 Fresh Aloe Vera gel can keep in the fridge for about a week. If you have excess gel you can freeze in an ice cube tray until needed. So keep replanting those new shoots! Safe to use externally to soothe or promote the healing on skin, paws, nose, ears etc. Have you noticed the endless variety of supplements marketed to pet owners these days? I am not referring to the ones designed for specific medical reasons of course, I am talking about the ones that are a good source of the most basic minerals / vitamins characteristic of a balanced diet anyway.... ?? Now, it's only one perspective of course, but here is just one example... let's take FISH OIL. Instead of buying a bottle of liquid capsules grab a can of the home brand tuna, salmon, mackerel ... i know we love our pets, but their bodies mechanics really aren't as fussy as the human kind. Our scrap meat is a Scotch Fillet cooked to a perfect medium rare for our dogs. And the canned tuna is actual food plus the omega 3's and 6's for the grant total price of $2. So in this instance, the ones that 'old mate West' rejected is just fine. Our advice is always (unless there is a reason why not), keep it simple and next time you're at the supermarket, don't be afraid of the 'marked down' meat section. You're dog's health will love you for it! 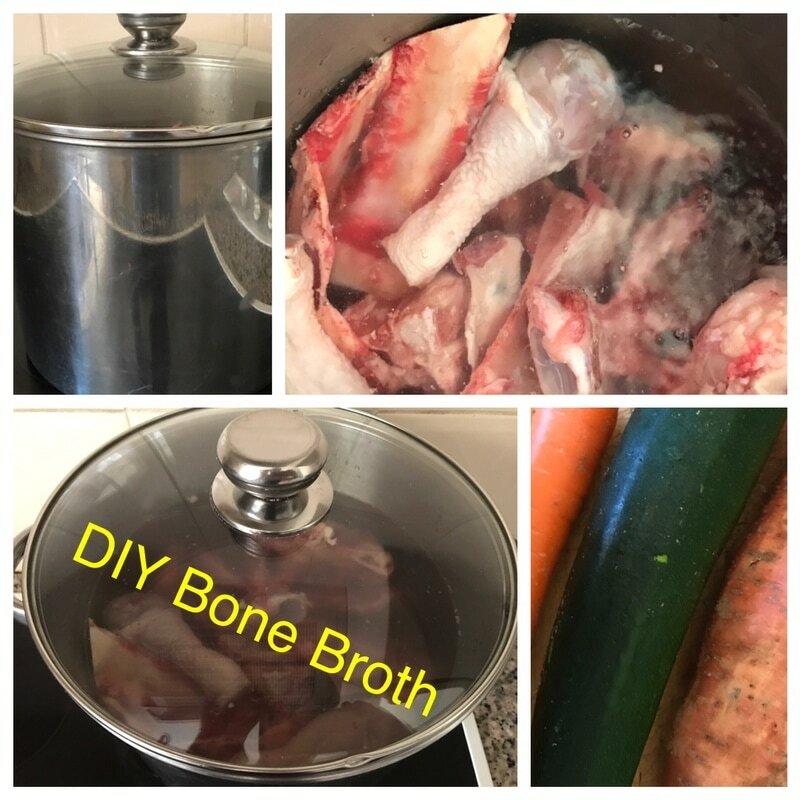 ?All dogs can benefit from having a bone broth included in their diet and it's definitely something you can introduce early on that promotes a long term benefit but it can really be a game changer for some pets and most commonly discovered when our dogs are moving into their senior years. 'Arthritis' may be accepted as inevitable for our beloved oldies, but the onset and the discomfort can be reduced if we prepare them well. 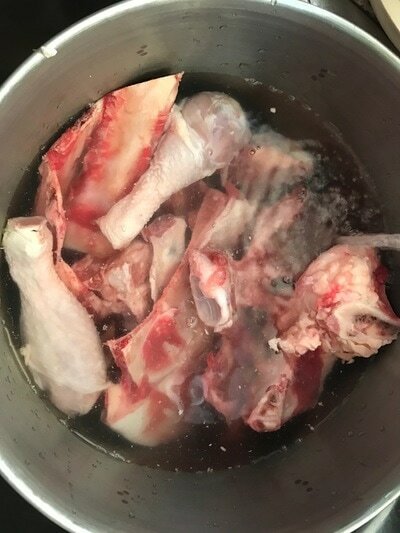 And the good news is cooking a bone broth is inexpensive, nutrient packed & even better is it's super easy to make. I like to call it 'gravy for dogs'. Bone broth is loaded with 'glycosaminoglycans', incl. glucosamine. Not only does bone broth contain super amazing amounts of glucosamine, it’s also packed with other joint protecting compounds like chondroitin and hyaluronic acid. The liver is the master organ of detoxification. Its capacity to detoxify is limited by the availability of the amino acid glycine. Guess what has tons of glycine? Bone broth! Glycine also aids digestion by helping to regulate the synthesis of bile salts and secretion of gastric acid. The lining of the intestines contains millions of tiny holes that allow the passage of digested nutrients to enter the body. Stress, poor diet and bacterial overgrowth can cause more holes to open or to become bigger…this is called "leaky gut". Bone broth is loaded with a gooey substance that can plug up those leaky holes: gelatin. So once you've dragged out the pot (or slow cooker), simply fill with the desired bones and add water until covering contents*. *The quantity of bones and water required will be to suit your pot. 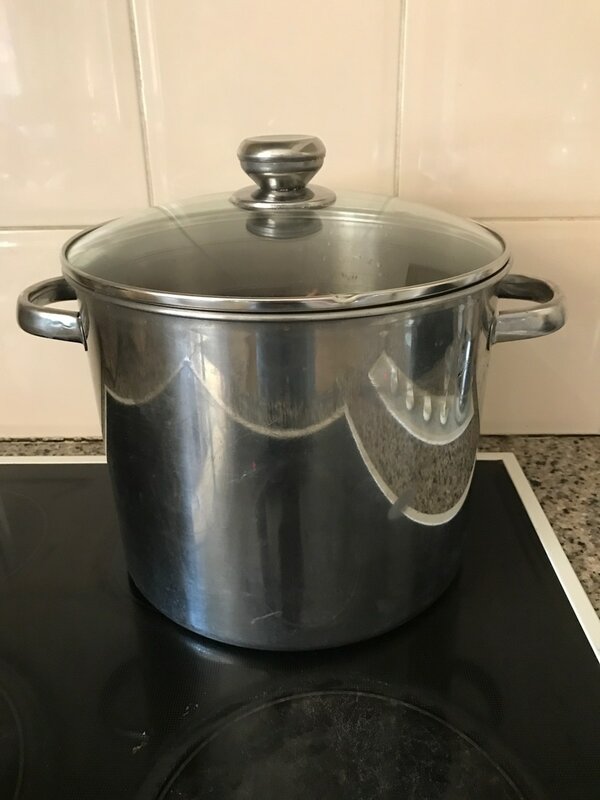 Note: don’t overfill your pot, leave a couple inches from the top as a minimum to help reduce boiling over. You can use raw or cooked bones but be sure to include joint bones with cartilage. You can even collect and save bones in the freezer. HOT TIP: Great bones to include are wings, legs & carcass frames. By including these parts increases ‘chondroitin’ content in broth which is beneficial for joint health, especially in large or senior dogs. Add a splash of an Acidic Acid - it's been said this helps draw the minerals out of the bones more thoroughly. * Raw apple cider vinegar is most commonly used (It’s well regarded by herbalists for its ability to draw minerals out of plants). Lemon juice may also be used. Let broth cool in pot for a few hours. OPTIONAL: at this stage you can add some whole or chunky-cut vegetables to your broth to include vitamins i.e. 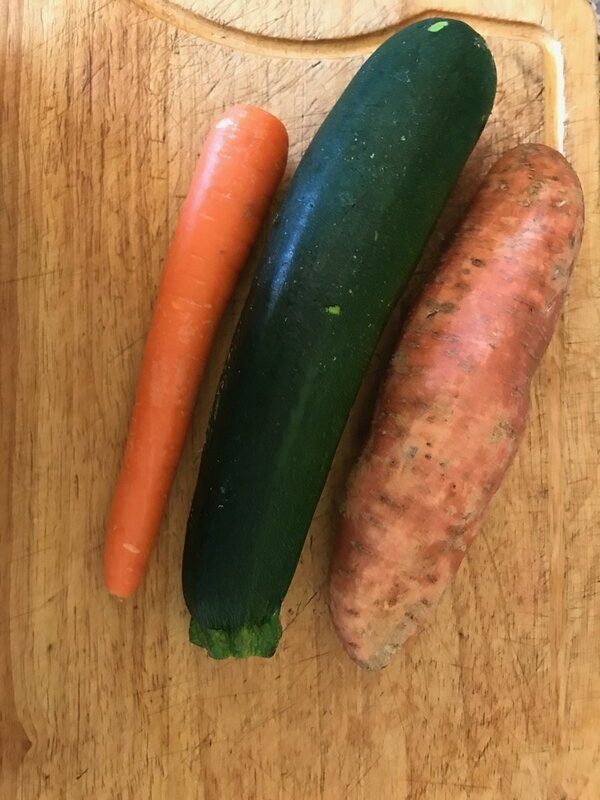 kale, carrots, sweet potato, zucchini etc. Strain remaining liquid further if desired, but it is not necessary. Feed 1-2 Tablespoons regularly where possible and works great as a gravy if slightly heated. 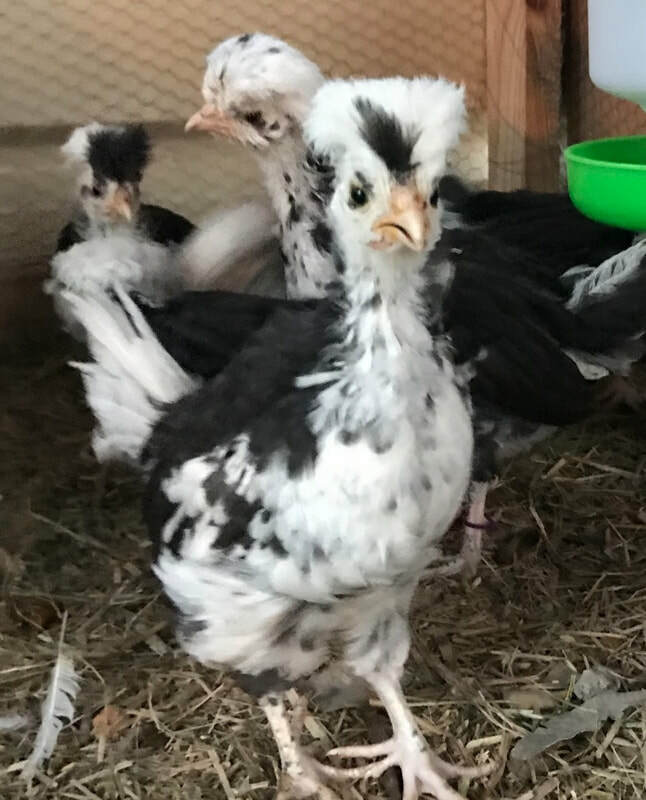 The very first hatchlings from our Heritage breed eggs we picked up from Hunter Fine Feathers. Bird lice can be tricky to avoid when you have no control over wild birds that fly in infested and treatments commonly used for eradicating these crawling parasites contain some pretty nasty inclusions that many users aren't aware of, albeit it's printed on the label but who the hell knows what ingredients like Rotenone is really? The fact is once you have a parasite problem using a chemical treatment offers a swift solution, but at what cost? 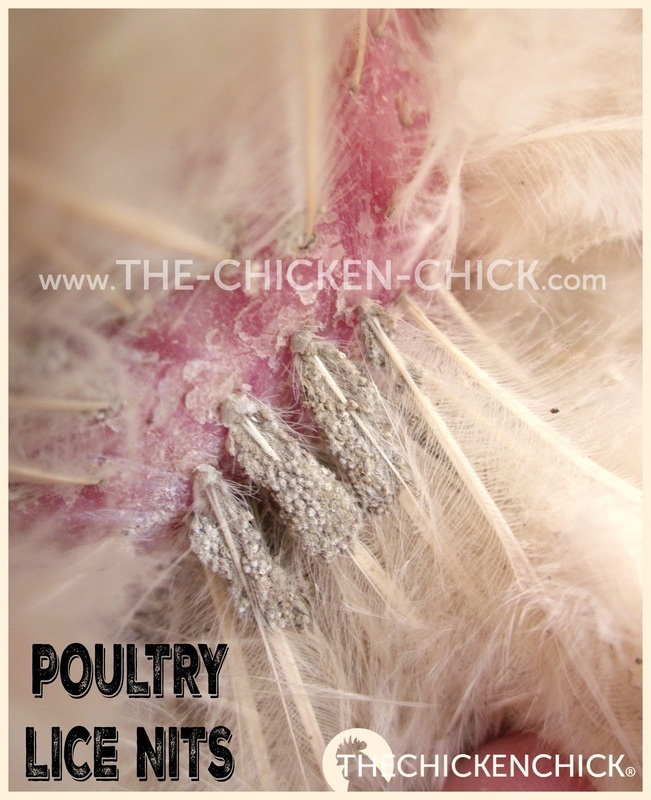 For poultry owners, the best strategy to address parasites is prevention. Prevention comes in many forms and applications and opinions on each sometimes vary - but one thing all the industry experts agree on, including the self proclaimed ones is good husbandry, bird health and preparation are proven to be the most successful ways to preventing parasites from infesting your flock. Food Grade Diatomaceous Earth is an all-rounder when it comes to prevention strategies and can be used alone or in combination with other methods. 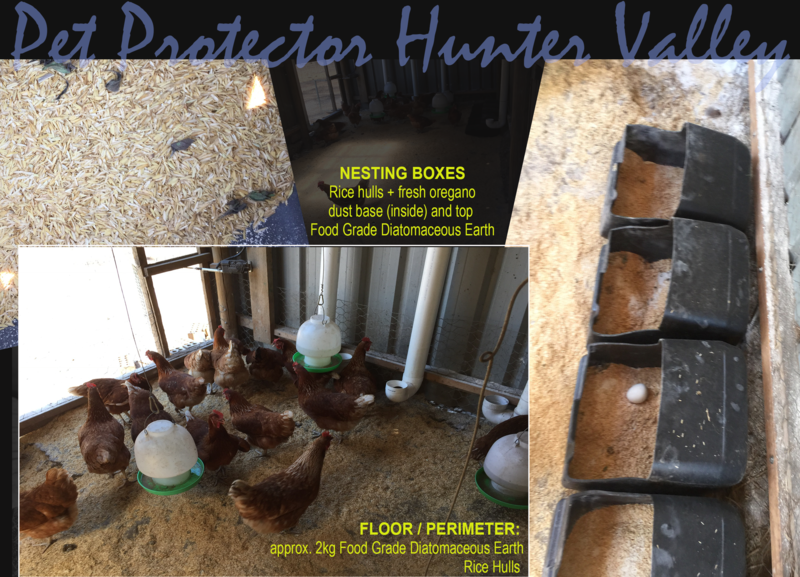 Today, we demonstrate how we use DE in the backyard coop. 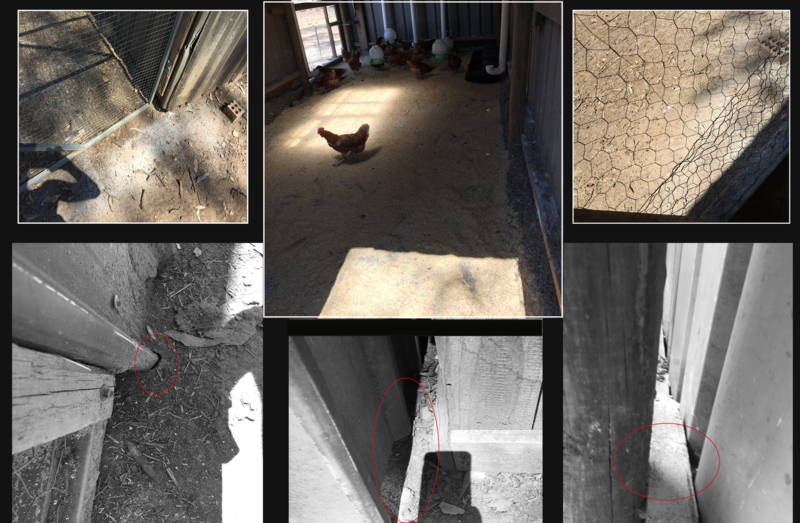 ​The coop in the images houses 45 laying hens and the owner reports they encounter bird lice every few weeks and has been using Pestene Insect Powder to treat the coop. Find out more here about the benefits of using DE with Poultry. It is important to address external risk factors. We identified the dam and ground cover from falling leaves as potential issues. Checking of your flock is also just as important as the coop and yard. Louse or lice lay their eggs at the base of the feathers (see image) and the adults feed off the dead skin cells. 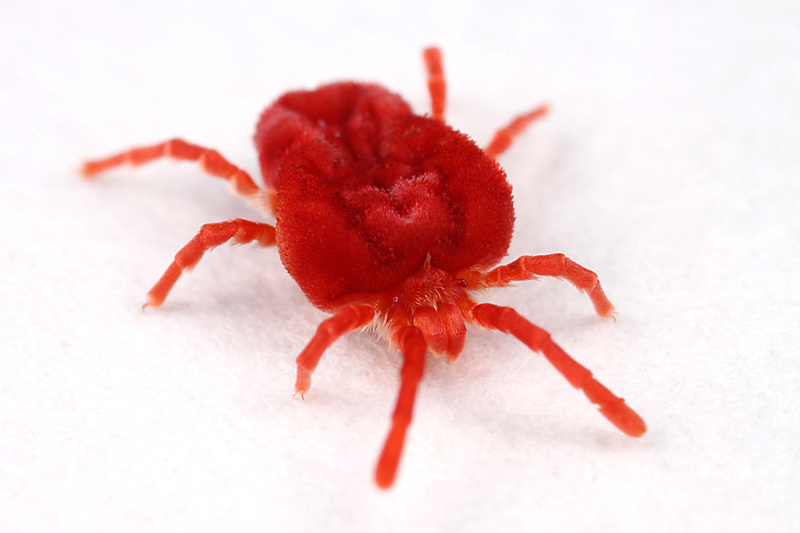 Mites on the other hand don't live on the bird as such, using them as a feeding host and hide in the darker spots through the daylight hours only coming out at night to feed. The best way to determine if you have a mite issue (and which type of mite) place a tub of hot water in the middle of your coop at night as the steam acts as a heat source attracting the mites. Check the next morning for any bugs in the tub of water - we suggest collecting any samples of the bugs you need to identify and store them securely in a fridge. If you are not exactly sure the difference between the many many parasites, in NSW, the Department of Primary Industries offers laboratory services for a variety of tests (some tests attract a small cost) including water, soil and parasite infection & identification. Visit DPI's website for more information and to order free test kits online. Outside NSW, please contact your state's equivalent authority. 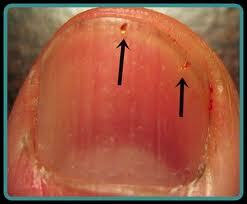 Above: image 1 - lice eggs on chicken (courtesy of The Chicken-Chick.com) ; image 2 - red mite ; image 3 - to the naked eye red mites can be hard to see, pictured here on an adult's thumb. Various herbs like oregano are useful in nesting boxes and/or mixed in with a mash to help prevent parasites like bird lice. Other beneficial herbs that can be used are Lavender, Chamomile, Peppermint, Bay Leaves, just to name a few. So the coop looks nice and clean, nesting boxes are fresh and there was no sign of parasites. Is that it? Unfortunately, not yet. Because we know this coop is located where wild birds prefer to land, we are taking additional precautions in our approach. Hummingbird Tape around upper fence perimeter near coop, dam and boundary fence (it won't stop wild birds all together - but it helps deter them) or some use old cd's strung to fishing line and hung around wherever they don't want the birds (I'm all for recycling things we already have laying around). Outside, reapply DE is usually required after rain but generally I recommend weekly top ups until around week 6 - 8. Husbandry methods should be a co-ordinate approach and in conjunction with any integrative pest management plan.